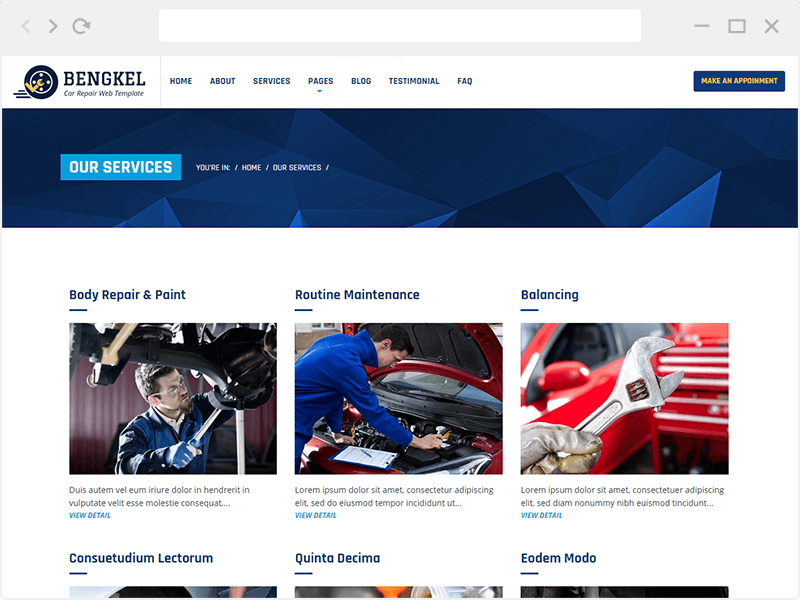 Bengkel is a Car Repair WordPress theme that is suitable for you who havemechanic and car repair business. 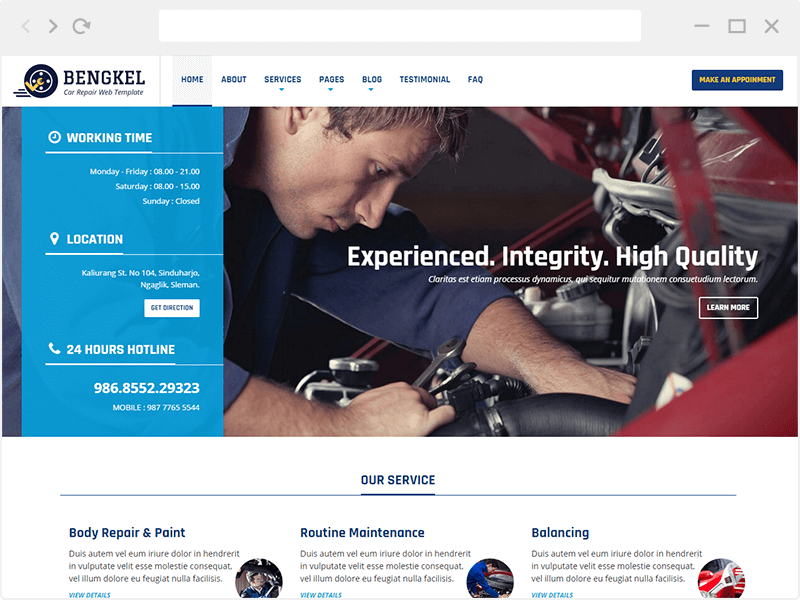 With modern design, will attract users to become your customers. This Theme is use Page Builder, it makes you feel free to choose appearance that you like. Also supported Post Format that allow you to share your experience to your reader.